My friend Moniker is awesome. She knows how to treat her friends, and always goes all out for her man, Loc Dog. She also knows good food, and meals with her never fail. Love you, Moniker. On that note, here's a rundown of half of Stanton Social's menu aka Loc Dog's graduation dinner-he has a Masters from NYU now. 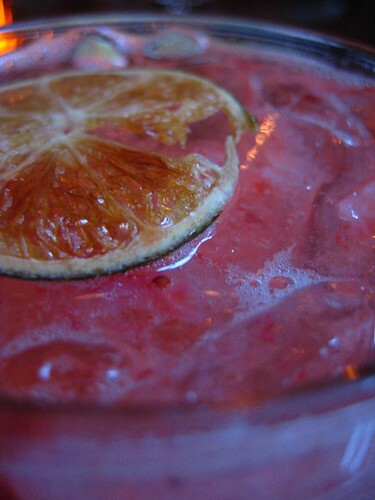 For those of you not from New York, Stanton Social opened about four years ago and has been popular ever since. 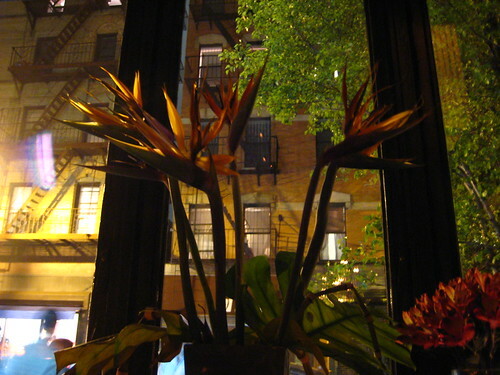 It's very chic and hip, new trendy Lower East Side as opposed to old punk Lower East Side. 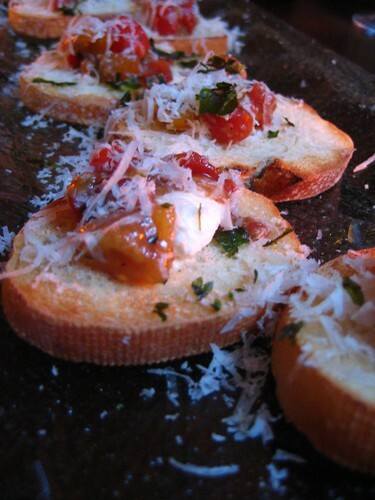 The menu is based on tapas, but done with American cuisine-the items on the left side of the menu skew more towards appetizers, and the right side skews more towards main entrees. Throughout your meal, plates are coming and going, and when you order as much as we did, it seemed as though it was never going to end. First out of the kitchen was a goat cheese amuse-bouche. This was two bites, just a scrumptious little something to get ready for the chaos about to ensue. Since the amount of food might break our site, I'm just going to give you the highlights. 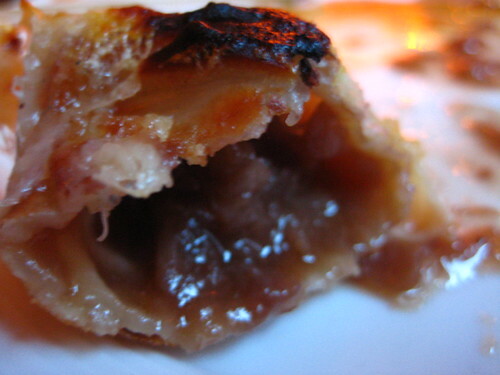 What 'appetizer' they're famous for: the French Onion soup dumplings. Five dumplings, filled with soup and then smothered in Gruyere. I'll admit I was skeptical, but the dumplings really hold up and aren't nearly as messy as I anticipated. 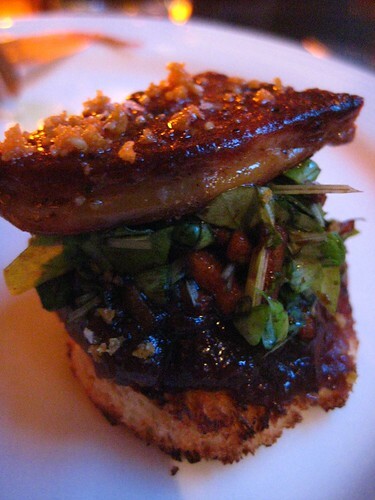 The best I had: Foie gras PB&J. Maybe I'm biased, I love peanut butter; I love blackberry jelly; I like foie gras. But this was delicious, it tasted like a pb&j, with the creamy, fatty goodness from the foie gras. I could have eaten the entire platter. 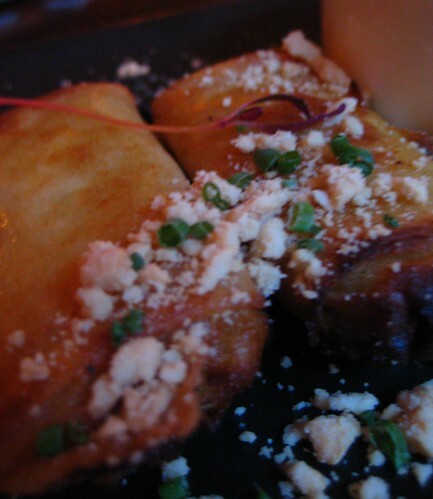 The runner-up: The sweet and sour chicken and cashew spring rolls. This is an item that should be in every Chinese restaurant, and yet isn't. It's great that they us the thin spring roll wrapper, as opposed to the thicker egg roll. What 'entree' they're famous for: Chicken n' waffles. Unfortunately our serving was a major fail. It looked alright, but one bite and it tasted like fish. 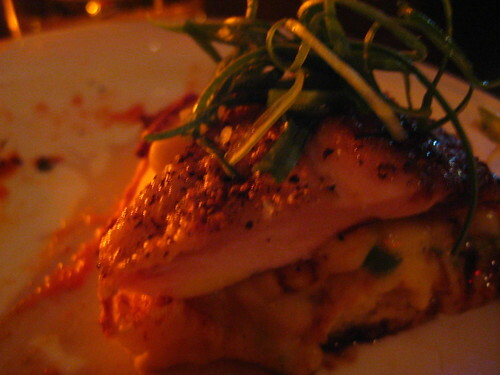 Chicken, cheddar waffles, and some balsamic maple syrup should not taste like fish. We sent the dish back and the kitchen agreed. Maybe next time it will win. 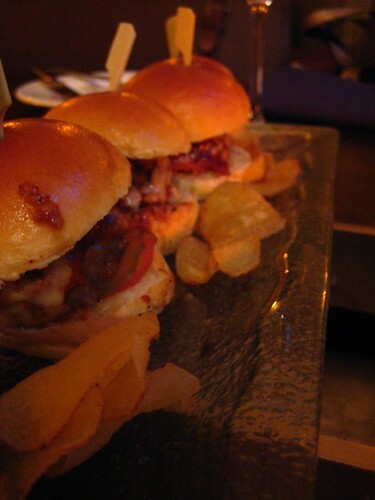 The best I had: Kobe Beef Sliders. 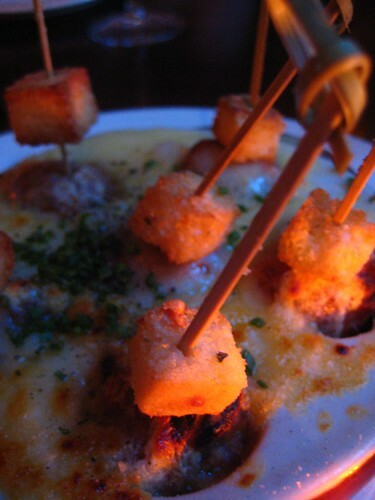 I know sliders and Kobe beef are overdone on the New York dining scene, but these were really good. Not well-done, just enough bites to be a 'slider', they didn't fall apart after the first bite, and flavorful meat. 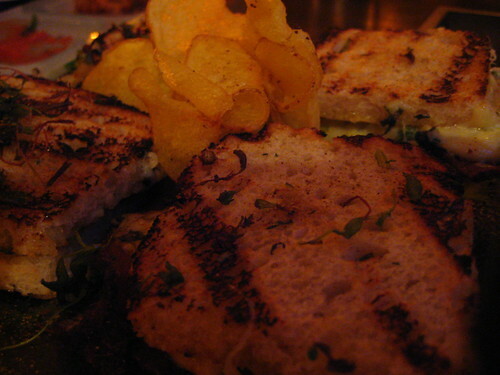 The runner-up: Grilled Cheese Sliders. Inside these little beauties is white cheddar and jalapeno bacon, yes, cheese and bacon. How can you go wrong with that combination? Not enough to knock my favorite grilled cheese out of its spot, but definitely a stop on a grilled cheese tour. What 'dessert' they're famous for: Warm Doughnuts. Fresh, warm, airy but doughy, sugar-covered pillows of love. Complete with chocolate, caramel, and raspberry dipping sauces! So far these are my favorite non-cream-filled doughnuts, Brownie, we need to go get these and soon. The best I had: Chocolate Tasting. I can't even tell you everything on here. There were truffles, panna cotta, ice cream, and a 'smore. 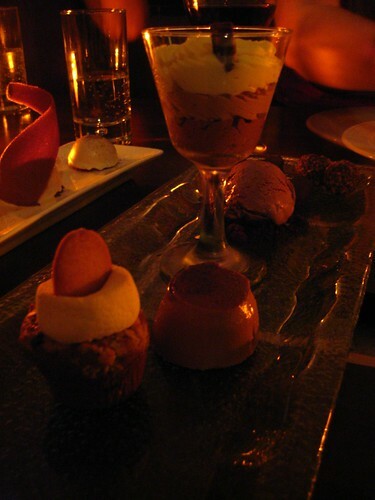 The panna cotta and pudding were creamy, chocolaty, and decadent. 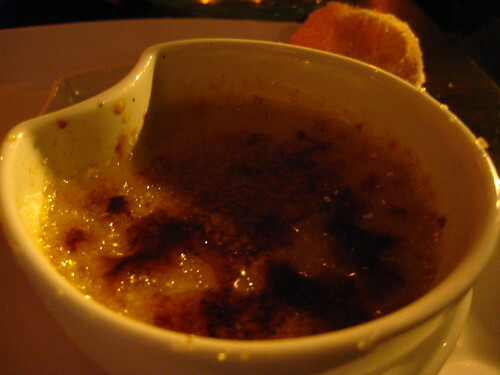 The runner up: Crème Brulée. The burnt top was crunchy and fragile, the cream was creamy and thick, it had just the right vanilla taste. Fantastic all around. And that's not all. To view the entire scene, click here. 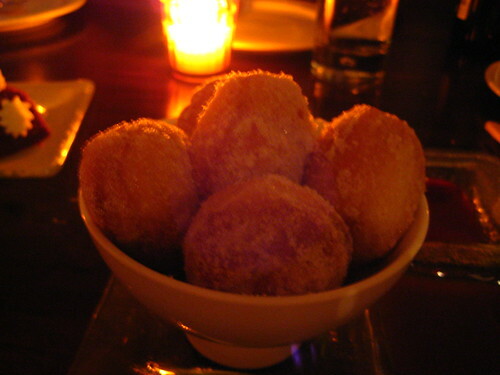 Warm Doughnuts. Fresh, warm, airy but doughy, sugar-covered pillows of love. Complete with chocolate, caramel, and raspberry dipping sauces!